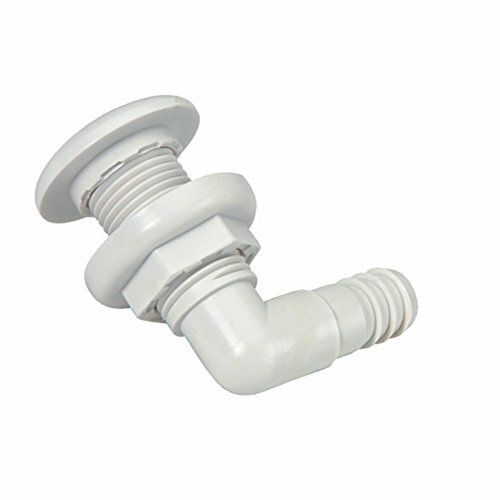 90 Degree Thru-Hull Connector - When looks are important, these are the 90 degree fittings to use. The outside nut is secured to the threaded shaft with a deck plate key. There no threaded section protruding through the head or in need of sawing so its always a neat, finished installation. If you have any questions about this product by Johnson Pumps of America, contact us by completing and submitting the form below. If you are looking for a specif part number, please include it with your message.